THIS IS NOT A LEASE! 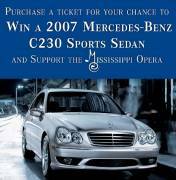 Mississippi Opera kicks off its annual fundraiser by again raffling the ownership of a brand new Mercedes-Benz! For the third consecutive season, we will put a lucky someone in the driver’s seat of a brand new 2008 Mercedes-Benz C300 Sport Sedan, courtesy of Higginbotham Mercedes-Benz of Jackson. Also included are secondary prizes featuring a strand of opera length Mikimoto pearls, courtesy of Lee Michaels Fine Jewelry, and a Viking grill, courtesy of Viking Range Corporation. The opera will raffle all three prizes on April 19, 2008. Limiting sales to only 1,000 tickets. Tickets are $100 each and are on sale at several locations in the Jackson area including Lee Michaels Fine Jewelry in Northpark Mall, Great Scott Men’s Clothiers 4400 Old Canton Road, Sal & Mookie’s 565 Taylor St. in Fondren, BRAVO! 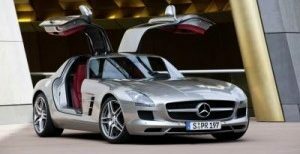 in Highland Village, Higginbotham Mercedes-Benz 5397 I-55 North, the Mississippi Opera office 201 East Pascagoula Street, and online. For more info, contact the Mississippi Opera office at 601-960-2300. 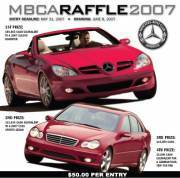 Win a 2008 Mercedes Benz CLS 550 or $50,000.00 cash. Tickets are $100 each – Buy 3 Tickets Get 3 Free! Entry deadline is November 30, 2007. You must be a member of MBCA to purchase tickets and to win prizes at the time of drawing. Visit the club’s website for details. Tickets are $100 each. Buy 3 tickets get 3 free! Details here. The number of tickets sold is limited to 1,000. Details here. Benefit Our Lady of Sorrows School Endowment Fund. Tickets are $100. The number of tickets sold is limited to 1,000. The drawing will be held at the Palm View Golf Course, 2701 S. Ware Road, McAllen Texas, on Friday May 4. Contact Our Lady of Sorrows for details. Entry deadline is May 31, 2007. You must be a member of MBCA to purchase tickets and to win prizes at the time of drawing. Visit the club’s website for details.